The Sacred Congregation for the Doctrine of the Faith reportedly has evaluated the findings of the Medjugorje commission, and decided to advise the Pope against approving the apparitions there. But the Pope has not issued a decision yet, and he has the final say. UPDATE: The latest report is that the CDF has not yet completed its evaluation. Some commentators are suggesting that the decision will be that there is “no supernatural activity” at Medjugorje. They think that pilgrimages to Medjugorje will still be permitted, as a place of prayer, and that the Pope will merely recommend that the faithful not attend any gathering at which the veracity of Medjugorje is presented as if it were true. But based on previous comments by Pope Francis on this subject (covered in my past posts), I think the decision will be much harsher and more extensive. I suggest the possibility that the Pope will issue a rule forbidding the faithful to make pilgrimages to Medjugorje, and forbidding the faithful to attend any gatherings based on Medjugorje. He might also forbid bishops, priests, and religious from being involved in any way in promoting the apparitions at Medjugorje. In addition, I expect the Pope to address the subject of other unapproved or formally disapproved claimed private revelations, placing harsh (and in my opinion necessary) restrictions on these apparitions and locutions. Pope Francis has in mind to reform the Church, and this is one area he has mentioned as in need of reform, as I understand him. Once Medjugorje is disapproved and the Pope places restrictions on other claimed private revelations, I expect the Bishops to follow his example and start issuing condemnations of many claimed private revelations. It will be a domino effect, that will send a shudder down the spine of certain groups of Catholics who have tried to remake the Catholic religion with claimed private revelation as its foundation. Some have tried to do this with true private revelation, such as Fatima and (in my opinion) Medjugorje. Others have tried to do this with false private revelation. Over the past decade or so, Medjugorje has fallen out of favor with many Catholic lay leaders and authors. Part of the problem is the misuse of Medjugorje by persons associated with the apparitions. Some of the Franciscans at Mostar, near Medjugorje, have been disobedient to their Bishop, and have tried to use the popularity of Medjugorje and their association with it to oppose him. But I also do not think the recent Bishops at Mostar have fairly evaluated the apparitions; they have seen the bad behavior of some, and it has led them to a negative judgment about the messages of the apparitions. I’ll try to write a longer post on the subject of obedience. 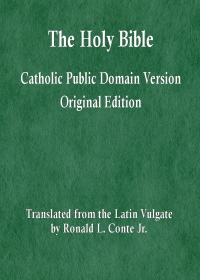 But for now, let me say that God does not require any Catholic to be blindly obedient to their pastor, their religious superior, their Bishop, or even to the Pope. Non-infallible teachings allow for the possibility of faithful though limited dissent. Decisions of the temporal authority of the Church are fallible, and some faithful disobedience is permissible. In some cases, one must disagree or disobey in order to be faithful to conscience, to grace, and to God. Those who decry the apparitions at Medjugorje, claiming that the visionaries and others are disobedient, fail to understand the will of God on obedience to the Church. And they themselves are disobedient and unfaithful. They reject certain teachings of the Church, and they influence others to fall into the same errors. Some claim that the apparitions cannot be true, because the visionaries (allegedly) disobey the Bishop. But every visionary is nevertheless a sinner. It is absurd to say that a certain visionary has particular sins or failings, therefore Mary or Jesus did not appear to them. Jesus was seen first, after His Resurrection, by Mary Magdalene, a repentant sinner. And Peter, the first Pope, denied Jesus three times. Yet they are both Saints. And not every visionary of every approved apparition becomes a Saint. Any claimed private revelation must be evaluated based on the content of the messages and any related supernatural phenomena. And that is not the basis for the negative judgment by many commentators on Medjugorje. I expect, once the Pope issues his negative judgment, that many Catholic commentators will jump on the band wagon and start loudly condemning Medjugorje. They will tell you how they have understood Medjugorje to be false for many years. They will multiply the accusations against persons associated with the apparitions. These commentators are not seeking truth. They are simply making the easiest argument, to win the largest following. They speak to please their listeners and to exalt themselves. When the first secret of Medjugorje, which is the Warning of Garabandal, occurs on Good Friday of 2016, the faithful and later the leaders of the Church will change their minds about the messages and apparitions. Then Medjugorje will take its rightful place beside Fatima, Lourdes, and other true private revelations of the Church. I suggest the possibility that the Pope will issue a rule forbidding the faithful to make pilgrimages to Medjugorje. How can the Pope prevent an individual from going to Medjugorje on a pilgrimage in a private capacity? The Pope is not a dictator. I can go on pilgrimage to anywhere I want, where there is a shrine or a Catholic Church, anywhere in the world. The Pope cannot interfere with a person’s free will to go wherever they want! The Church and the Pope have the authority to make rules for the faithful. If the Pope prohibits pilgrimages to Medjugorje, perhaps some persons will disobey. But the number of persons going there will greatly decrease. Pilgrimages will lose the support of dioceses and parishes. He can’t absolutely prevent someone, but he can make the rule and it will be largely effective. Also, look at the history of visionaries; so many were suspect at the beginning, St. Teresa of Avila, St. Catharine of Sienna, the list is long. I am sure you know of Imaculee Ilibagiza; she takes pilgrims there to Medjugorje and there have been many graces received by faithful devotees. Claimed private revelations must be judged by the content of the revelations, not the behavior of us poor fallen sinners. There will always be faults and failings and sins in the visionaries and adherents of a true private revelation. 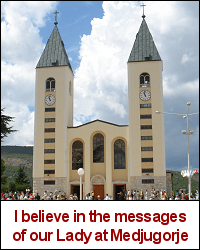 The many messages of Medjugorje are full of the profound yet subtle wisdom of God, with no moral or doctrinal errors. The Church has never taught absolute blind obedience to a bishop, nor even to the Pope, not for persons who take a vow of obedience, and not for lay persons, whether visionaries or not.